The Disruptive Innovation Festival (DIF) is a 3-week online event that asks the question: what if we could redesign everything? It spurs digital conversations among organizations of all kinds – startups, designers, academics, economists and innovators – showcasing ideas and innovations, and investigating the most disruptive trends. Metabolic hosted two talks during the festival in November last year. If you missed them, you can catch them here on our website. To genuinely make the transition towards a circular economy, the way that data is captured, evaluated, and acted upon needs to change. Metabolic Founder and CEO Eva Gladek describes how information is essential to the circular economy, and outlines why Metabolic thinks we need nothing short of a global public utility to manage it. Currently, cities are governed by money and short term gains; they are not adaptive or resilient by design; and urban dwellers behave in unsustainable ways. 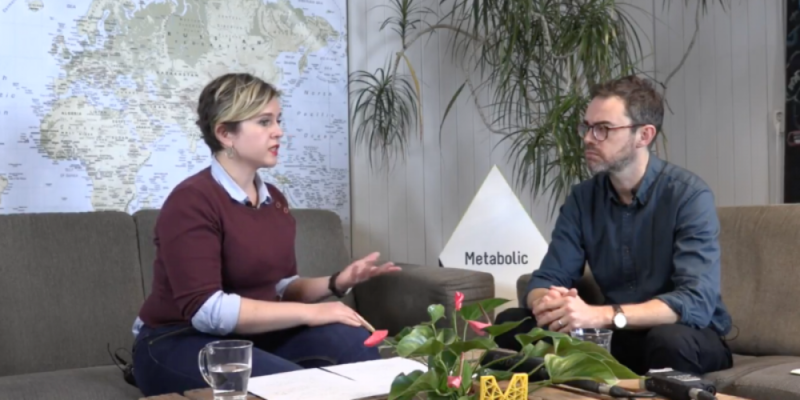 In this talk, senior Metabolic consultants Gerard Roemers and Nadine Galle share our vision for circular cities, and outline what we need to do to build them.